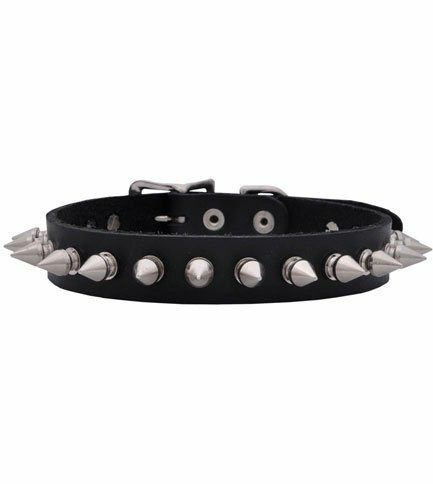 Multi spiked leather choker with 1 row of 1/2 inch spikes and buckle closure. Measures 3/4 inches wide. Small is adjustable 11 inches - 13 inches. 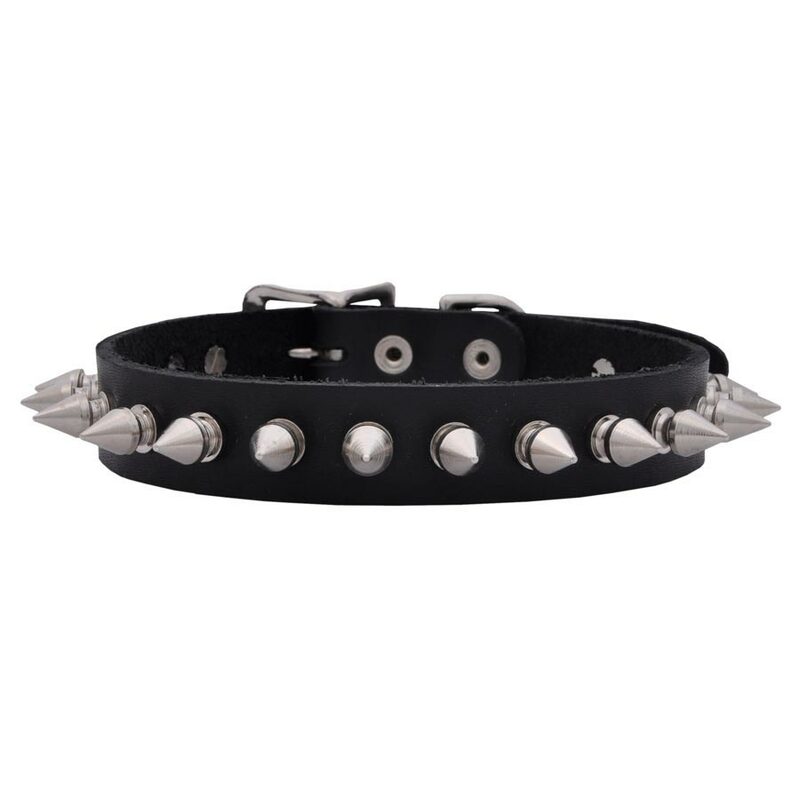 Large is adjustable 13 inches - 15 inches.